I have a craft that kids will love to make. It’s a Standing Ghosts craft and it is perfect for Halloween. 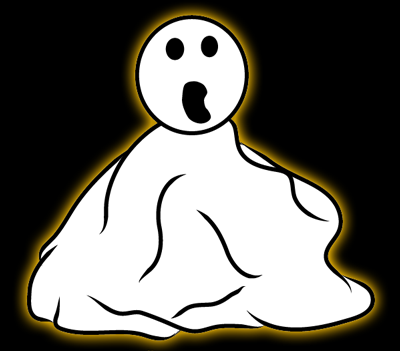 The craft is easy enough that in no time you could have several of these ghosts made….. ideal for decorating the House for Halloween. 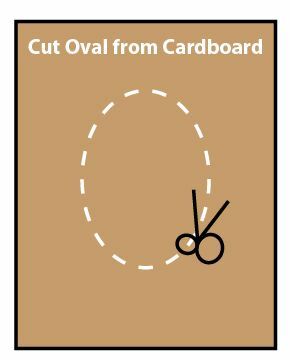 Cut an oval from cardboard. 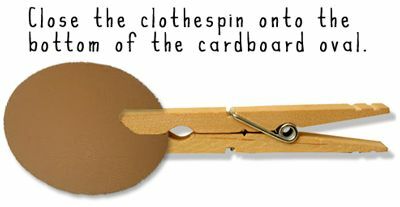 Close the clothespin onto the bottom of the cardboard oval. 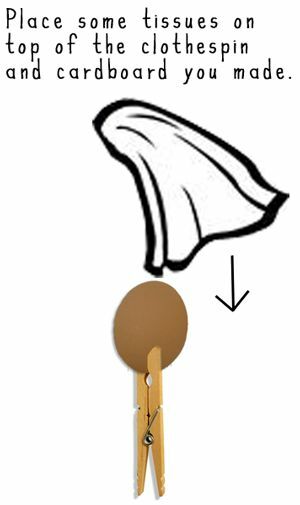 Place some tissues on top of the clothespin and cardboard you made. 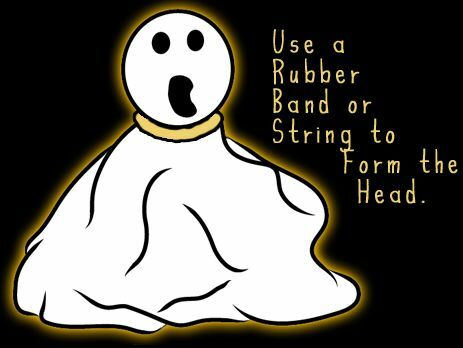 Use a rubber band or string to form the head. Wasn’t that fun to make? 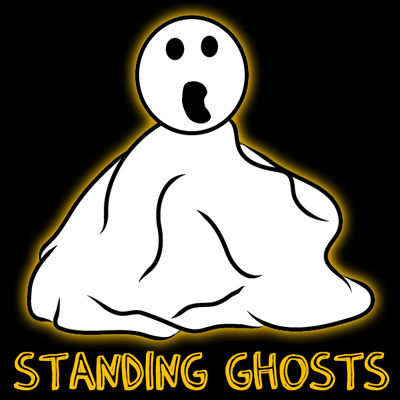 I told you your kids would love making a standing ghost. Now, make a few more and use them to decorate your house for Halloween. 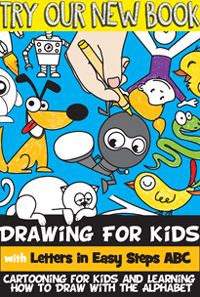 if i want to do a craft a all waz com to your site. insted of a cardboard you cloud yous a pingpongball and instead of a tissue you try a hakerchife and probley put some glowing liquid on it.